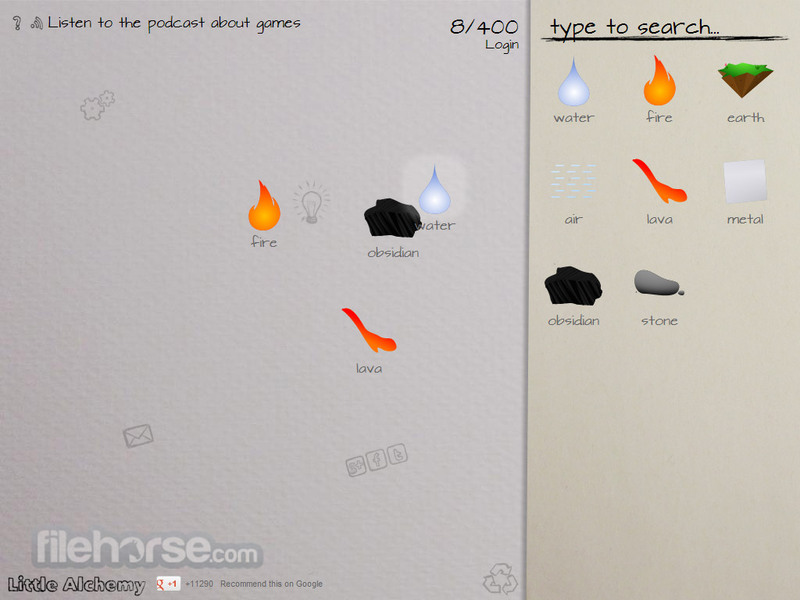 Little Alchemy is one of the most popular educational games you can get your hands of today. Even if you have only minute or two of free time, or if you want to learn your kids about natural elements around us, Little Alchemy provides tremendous amounts of fun. 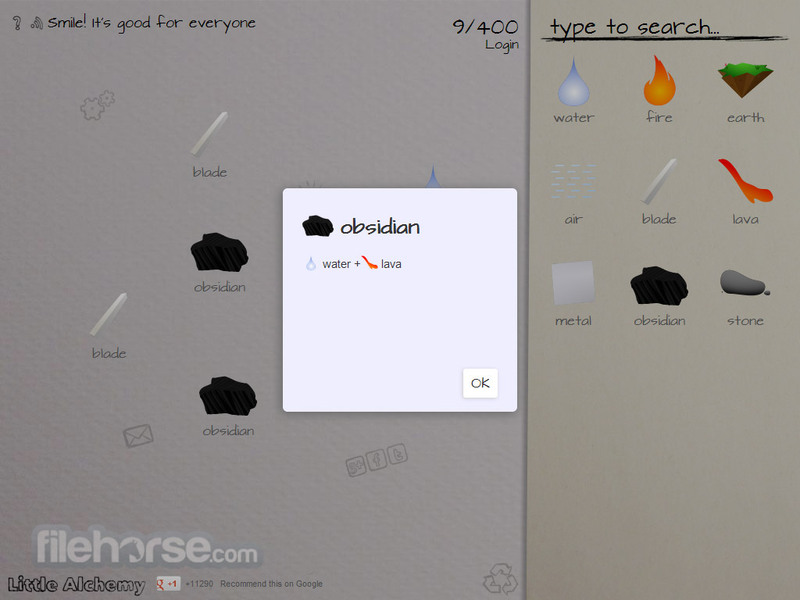 Interface of Little Alchemy is incredibly simple. 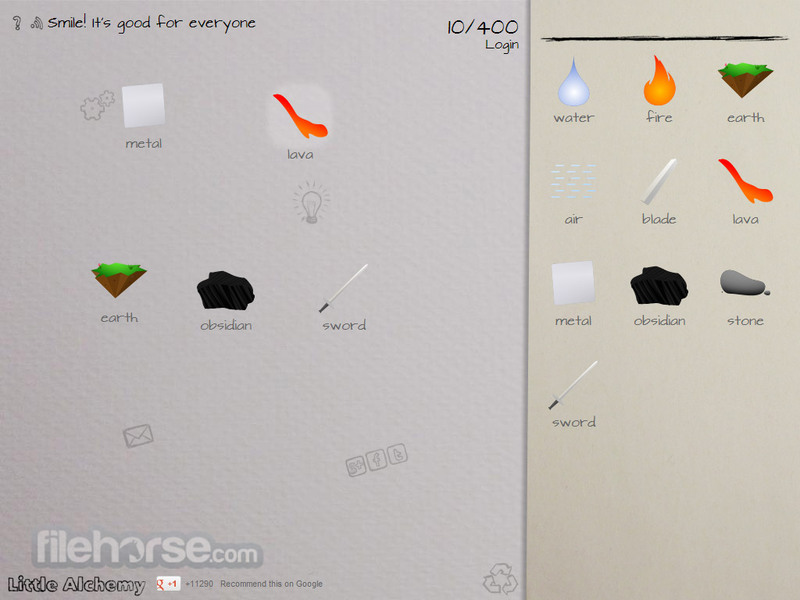 You will get 4 natural elements to play with (water, fire, earth and air), and by combining them you will get new elements or objects (fog, geysirs, volcanoes), that can all be used in creation of new objects. 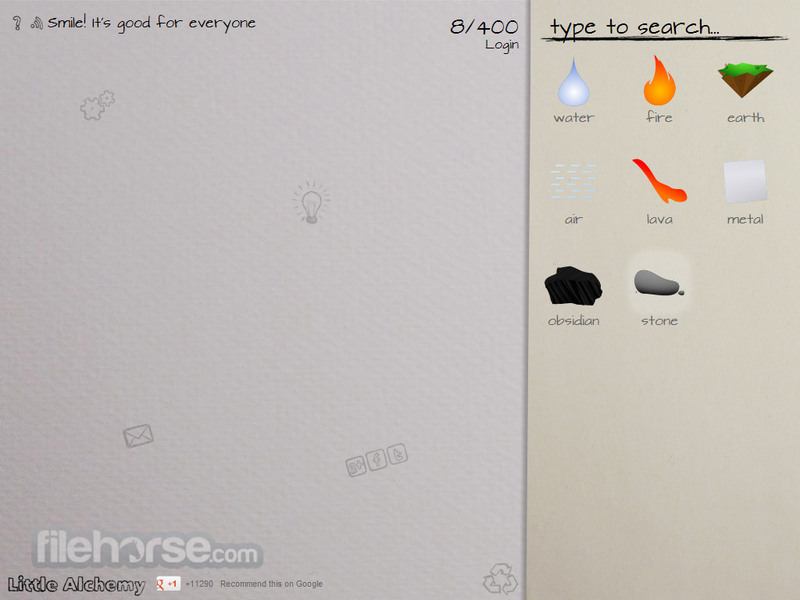 All in all, there are 400 objects present in the game, and to create them you will need to test your imagination and knowledge to the limits.